I went digging through the humidor today and had one of those moments where I couldn’t make a decision. Them I saw the G.A.R. label staring back at me. I haven’t had a cigar from Gran Habano in awhile and they always seem to be top-notch when I do so I decided it was going to meet the flame tonight. I honestly have no idea where this cigar came from, it’s been in my humi for at least a year and was either part of a trade or a sampler pack I purchased. The G.A.R. 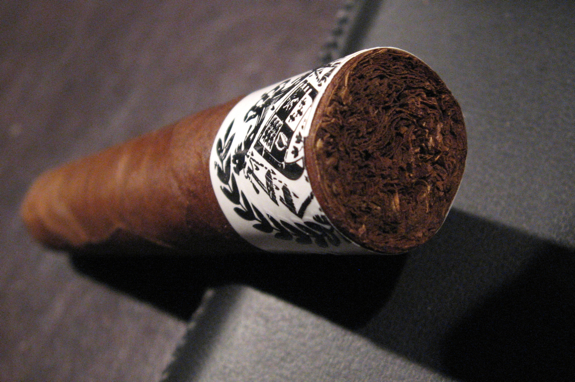 line of cigars is currently only offered in the Original or White Label. 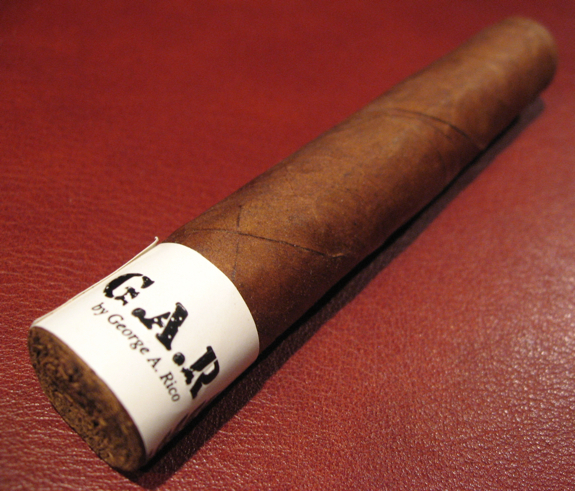 There were two other blends in the G.A.R. lineup called the Lux and the Vanguard but both have been recently discontinued. I heard a little “rumour” that there may be a new addition to the G.A.R. 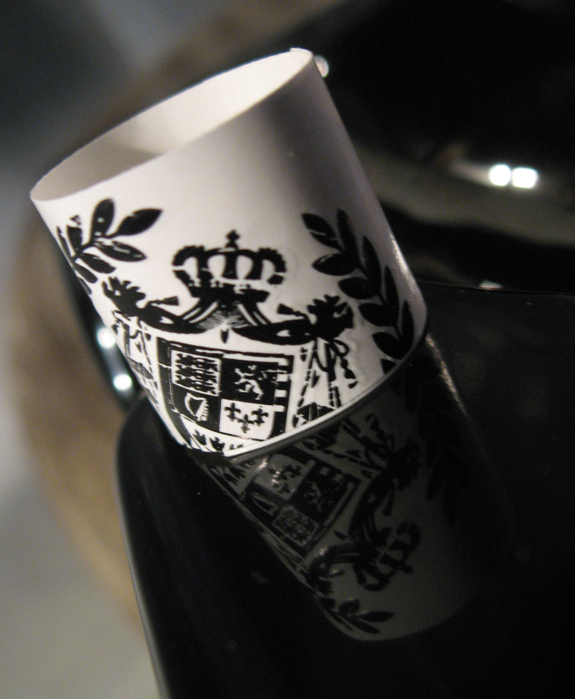 lineup very soon so be sure to keep your eyes peeled on the Gran Habano website! G.A.R. stands for it’s creator’s initials, George A. Rico, who is the mastermind behind Gran Habano Cigars. 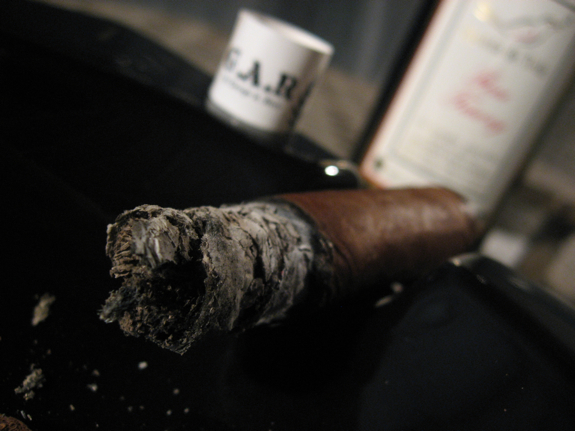 Be sure to check out some of our other Gran Habano reviews, including the new Azteca, Gran Reserva #3, Corojo #5 or the Connecticut #1 which was part of this Blind Review post. There is also a ton more information about the company in each of those reviews if you were curious to learn more about Gran Habano and it’s history. The G.A.R. 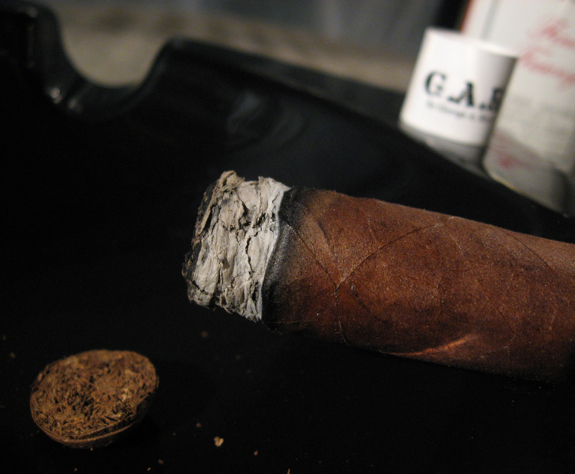 line was blending by Mr. Rico to be a full-bodied and full-flavored cigar that promises to be complex throughout. It is currently offered in 4 vitolas and today I will be lighting up the Robusto Grande size. One interesting thing about this blend is the use of a mild Connecticut leaf as the binder underneath the more powerful Corojo wrapper. Sounds like it could be a nice creamy compliment to the spicy and full offering, we’ll see how it plays out as I burn through the cigar. This was a tasty smoke with a good variety of flavors to keep you on your toes as you smoke through it. None of the flavors were overpowering or off-putting. My only complaint on this cigar would be the number of touch-ups it required. The touch-ups usually tend to change the flavor for at least a few draws and I try to avoid it as much as possible. Some of these burn issues could also be attributed to the cold temperature out here today, I find that below freezing temps can easily affect a delicate wrapper. But aside from that issue this is a cigar worthy of trying. It promised to be more full bodied then I found it to be, but that might have been because of the Port that I paired it with. It also promised to be complex and full-flavored and I fully believe it lived up to that. It’s offered at a fair price which can make it a good option to be included in your regular rotation. Sorry for the lack in uniqueness in my pairings lately, I haven’t gone shopping for beer in awhile and I picked up two bottles of this port because they were on sale. 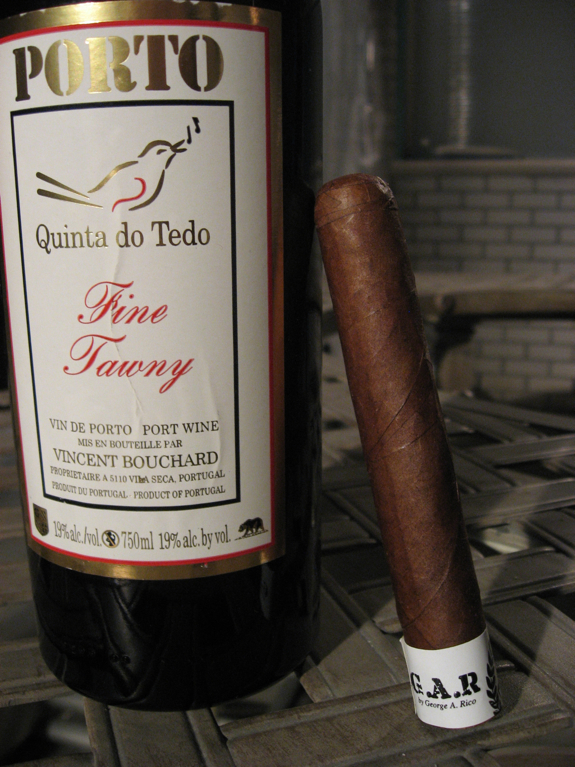 If you’re one our wonderful faithful readers you’ll recognize this Quinta do Tedo Tawny Port from a couple of my recent reviews including the Monte Pascoal and the Miraculous Templar Maduro. Please check out those reviews for more details on this Port. The fruity flavors here are pairing well with the cloves and coffee. 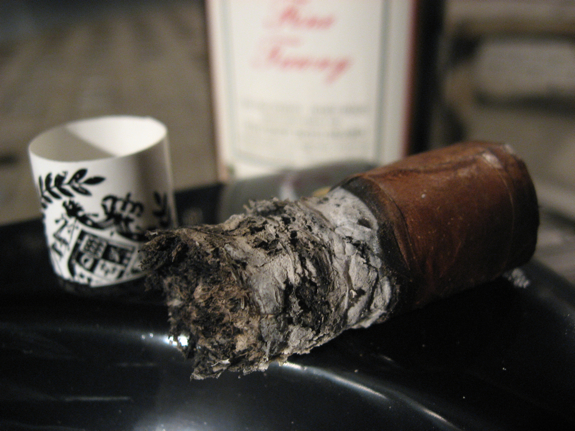 The higher sugar content of the Port is also helping to any nicotine effects that this cigar may have offered. I think a nice Scotch would have been a great choice here or a tasty bold coffee. Good stuff. Honest reviews keep me coming back. I always walk by these… Now I am sort of glad I do. He seems like a gracious guy in video interviews, but I would rather spend my money on others. Thanks D! Always count on you for a comment Tadd! Thanks bud, really appreciate that. I think these deserve a try Tadd, at least pick one up to try. I think the temperature ruined the burn a bit but the flavors were very interesting and tasty. I’ve had a few of these before but not for a while, most of my notes on them don’t talk about many bur issues so this one could have been a dud. Let me know if you try it out! 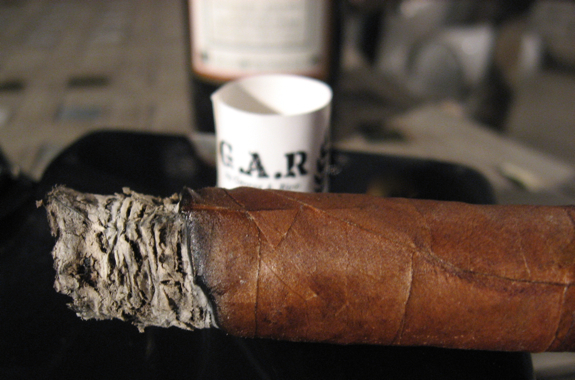 This cigar is what I call a “sleeper”. 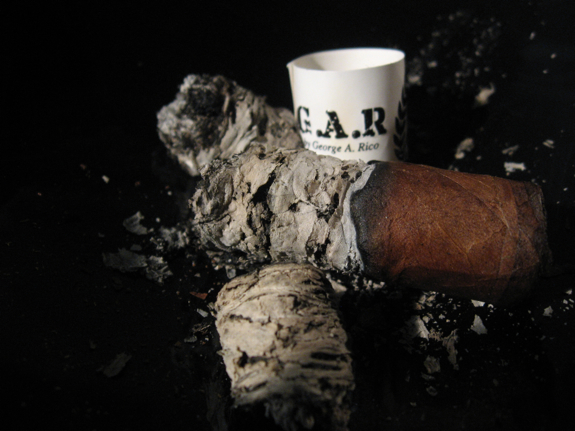 I never tried it for the longest time simply because I thought GAR was short for cigar, an unfortunate unintended marketing ploy which made me lump the brand into the category of “flavored cigars” or the kind of cigar a real cigar smoker would stay away from at all costs. My local cigar store gave me one free just to try, and my word, it was really really good. At first, I chalked it up to my incredibly low expectations. But after several of these, I am convinced it’s one of the most underrated cigars (around $7-$8 a stick) that you can buy. I love these. They are strong, smooth, and have a wonderful finish. It won’t leave you wanting. I have turned many of my cigar friends on to this great cigar. It is my preferred daily smoke, but the largest ring gauge is my favorite. So if you have a good 45 minutes to an hour to kill, it’s definitely worth the investment. But don’t tell anybody if you like. I don’t want it to turn into a $10 cigar. Thanks for visiting the site and we hope to see you around here more often, I love hearing the thoughts of others on all our reviews!